ALL DENIM MERCHANDISE IS ON BACK ORDER!!! 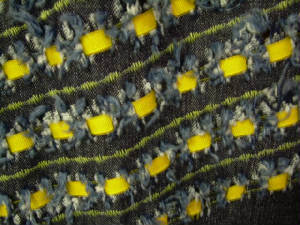 I USUALLY WORK W/TROPICAL & CANDY COLOR THREADS. 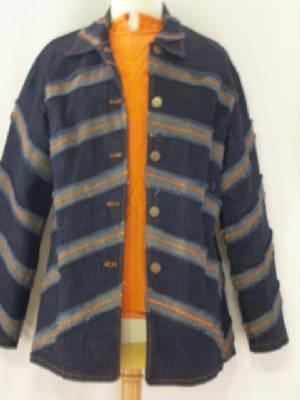 Three piece denim suit w/reversed frayed strips, include jacket, pants, and blouse. Top stitching and blouse available in most tropical & candy colors. 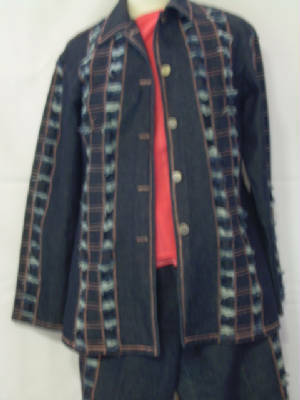 3 Piece denim suit include, jacket, top & pants w/frayed slanted strips & hot pink topstitching. 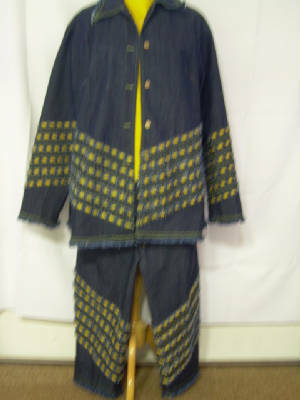 Three piece denim suit, include jacket, blouse, & pants. 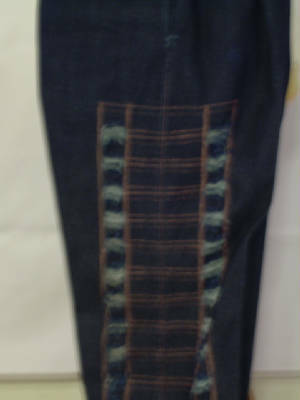 Pants have embroidering on bottom of legs (bottom side view of pant leg pictured below). 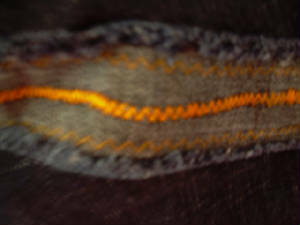 Blouse embroidering & topstitching available in most tropical or candy colors. 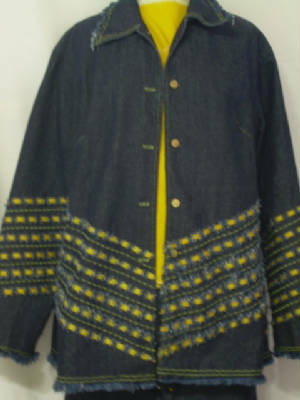 Three piece denim suit w/frayed cuts, include jacket, pants, & blouse. 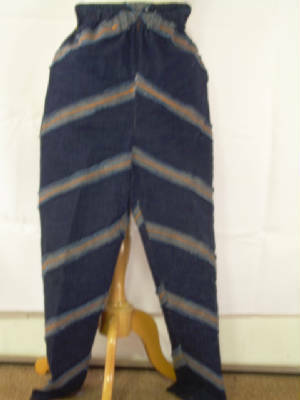 Pants side view pictured below. Blouse & topstitching available in most tropical & candy colors. Sizes differ from store bought merchandise. Please use above measurement chart for ordering. Frayed denim top & capris mixed w/floral & solid simi sheer lavender fabric. NEW STYLES WILL BE ADDED OFTEN!